Collective bargaining in the Federal service is not the same as it is in the private sector. Oh, there are many similarities, but the fundamental issues of pay, benefits, management rights, etc. are all fixed by Congress. While 5 USC, Chapter 71, Sections 7121 -7123, requires that the collective bargaining agreements must provide a provision for a grievance procedure, and binding arbitration, these contractual grievance procedures still must operate subject to a myriad of rules governing arbitrability, such as an arbitrator is bound to follow MSPB procedures, and established regulations. The arbitrators used in the federal grievances to determine the outcome of a grievance come from the very same body of arbitrators that the private sector uses. These individuals generally have far more exposure to the private sector than they do in the public sector, and in deciding adverse actions they generally look to whether management’s action meets a “just cause” standard. The role of management’s advocate is that of a story teller and an educator to assist the arbitrator to understand not only the grievance and the parties collective bargaining agreement, but also any attending laws, rules or regulations that are pertinent to the action and outcome. Agencies are authorized to subject employees to adverse actions “only for such cause as will promote the efficiency of the service,” according to 5 U.S.C. § 7513(a). Efficiency of the service is a critical component of disciplinary actions. Let’s make it simple: government should work better if this particular individual was not among the workforce. In other words, how long have you worked here not including tomorrow? Just cause is a common standard in labor arbitration that is used in the private sector labor union contracts in the United States as a form of job security. Blacks Law Dictionary also defines it as a “good cause” where there is a legally sufficient reason for the action to have occurred, and the burden is placed upon the grievant to show why his/her request should be granted to overturn an action. This standard of just or good cause provides important protections against arbitrary or unfair termination and other forms of inappropriate workplace discipline. Arbitrators are more familiar with this standard than they are with the efficiency of the service. Is there a demonstrable difference? This author does not think so. 1. The employee knew of the employer’s policy. Agencies enjoy a legal and contractual right to manage its workforce by establishing the rules and policies necessary. However, the agency has a fundamental obligation to inform the employees as to their meaning and application. The employer must advise the employee that any act of misconduct or disobedience could result in discipline. This statement should be clear, unambiguous and inclusive of any possible penalties. 2. The employer’s policy is reasonable. 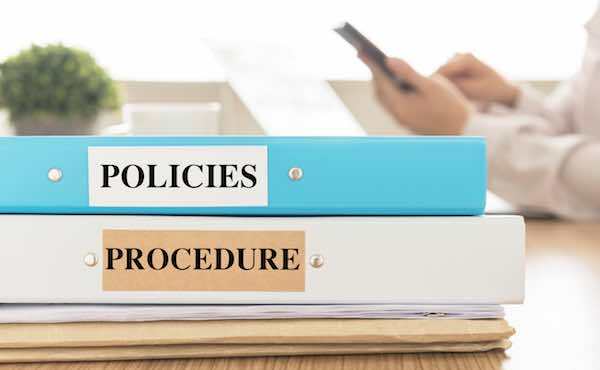 A workplace rule or policy must not be arbitrary, capricious or discriminatory and must be related to the employer’s stated goals and objectives. Even if the grievant believed the policy or supervisory direction is unreasonable, the grievant must obey, except in cases when doing so would jeopardize health or safety. This is the old obey and grieve rule. 3. Was there a sufficient investigation? Did the employer conduct an investigation before making a decision about taking disciplinary and/or an adverse action? The employer is prosecutor, judge and jury in discipline cases, and bears the full obligation to collect any and all facts that are relevant to the final decision. The employer has the obligation to conduct a fair, timely and thorough investigation that respects the employee’s right to union representation and due process. Once completed, all facts must be evaluated with objectivity, free from any bias or preconceived conclusion. 5. Substantial evidence exists that the employee violated the policy. Did the investigation disclose any substantial proof or evidence that the employee was guilty of violating or disobeying a direct rule or order? Although there is no requirement of being preponderant, conclusive, or “beyond a reasonable doubt,” any proof or evidence must be truly substantial. The investigation must be thorough and to include a search for any evidence that may even clear the individual of wrongdoing. If an offense cannot be proven, then no action should ever be taken as it will not be considered as just. 6. The employer’s policy has been consistently applied. Like the Douglas Factors, did the employer apply all rules, regulations and penalties evenhandedly and without discrimination to ALL employees? Consistent with the MSPB Woebcke decision, were other employees who committed the same offense treated differently? If there was any evidence of discrimination or disparate treatment, both could automatically violate this test. 7. The discipline was reasonable and proportionate. A proven offense does not merit a harsh discipline unless the employee has been proven guilty of the same (or other) offenses several times in the recent past. Though an employee’s past record cannot be used to prove guilt in a current case, it can be used in determining the severity of discipline if guilt is established in the current case. Again, the same principle applies in the Douglas Factors. Should two or more employees be found guilty of the same offense, their respective records can and should be used to determine their individual discipline. The employer has a right to give a lesser penalty to an employee whose employment record is not tainted with prior offenses, and this consideration should not be viewed as discriminatory. The reverse can also be true. The employee’s offense may be excused through mitigating circumstances. Based upon training conferences I have attended sponsored by the Labor Arbitration Institute, many arbitrators still apply this analysis in rendering their decisions. The various panels of arbitrators have said that if an employer can satisfy these seven factors then their defense of a grievance will have a greater probability of being sustained. In many ways, these seven factors resemble the Douglas Factors commonly used by MSPB jurists to evaluate the merits of an agency’s actions and decisions. In preparing to take a disciplinary or adverse action, where the employee may exercise their right to grieve the action to arbitration, labor and employee relations specialists may be very wise to take a lesson from Professor Daugherty in their preparation and guidance to senior management. © 2019 Robert Dietrich. All rights reserved. This article may not be reproduced without express written consent from Robert Dietrich. Bob Dietrich is an instructor on a wide variety of human resources issues with the Graduate School USA, as well as a consultant with RGS, Inc. He has served as the chief negotiator on master and interim term agreements, and inside consultant to management on labor and employee relations issues, and he has represented management before arbitrators on cases ranging from removal, suspensions, performance evaluations, travel claims, and contract interpretations. He is available to provide training at your location or to serve as a consultant on a variety of HR topics.